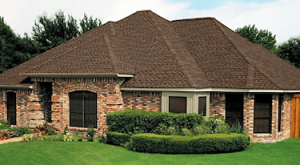 Looking for a dependable Milton, GA, roofing company? Hopewell Roofing & Restoration has been providing area homeowners with top-shelf service since 2009. With a focus on nurturing community ties, you can trust this outfit to do the job right. Fly-by-night roofing contractors often don’t have the essentials they need to conduct business legally in the state of Georgia. They don’t have measures in place to protect your home should the worst happen either. At Hopewell Roofing & Restoration, we pair a one million dollar general liability insurance policy with workman’s compensation coverage and expert training to eliminate homeowner risk. Our number one concern is customer satisfaction, but we know that means more than how your roof looks. From the first time you talk to a customer service representative to getting an inspection five or ten years down the road, you can consider the Hopewell crew a trusted partner in preserving the value of your property. GAF is one of the leading manufacturers of shingles today. They focus on quality products that look and perform among the best in the business. GAF also carries sound warranties, so you don’t ever have to worry about the integrity of their products. They take their obligation to property owners seriously enough to make sure the professionals marketing their products have proper training and do business the right way. Hopewell Roofing has GAF Master Elite Roofing Contractor certification, the top rating available and an honor bestowed on fewer than two percent of roofing companies nationwide. Not only is this evidence of advanced training and expert-level performance in roof replacement and repair, it also demonstrates our dedication to professionalism, customer service and community. At Hopewell Roofing, we provide you with everything you need to know your roof is secure, from the top-quality shingles made by an industry leader to gutter replacements and drone-enhanced inspections. We’re one of the few companies in the area qualified to perform roof replacement and repair on commercial properties and residences in the Milton, GA, area. Looking for a Milton, GA, roofing company you can trust? Get in touch with our team at Hopewell Roofing & Restoration today.